Champaign IL. 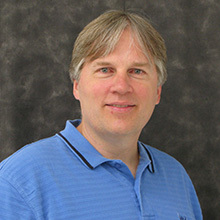 April 11, 2019 – The American Meat Science Association (AMSA) is pleased to announce, Dr. Scott Updike, Robert Hanson, and Dr. Bradley Marks will be the featured speakers at the AMSA 72nd Reciprocal Meat Conference (RMC) Symposium entitled “Thermal Processing,” on Wednesday, June 26 in Loveland, CO. This session will be co-sponsored by Kraft Heinz Company and Newly Weds Foods. The AMSA 2019 RMC is co-hosted by Colorado State University and JBS USA Food Company. New Salmonella Compliance Guidelines for Establishments that Produce Ready-to-Eat Meat Products: Dr. Scott Updike, Staff Officer with the Risk, Innovations and Management Staff in the Office of Policy and Program at Food Safety and Inspection Service, USDA will provide a Food Safety and Inspection Service update to guidance on cooking and cooling (Appendix A and B). This discussion will include an overview of scientific gaps and research needs which the agency has identified. Assuring Surface Lethality of Pathogens Using Hydrated Surface Lethality for RTE Meats: Appendix A serves as the industry's compliance guideline for cooking RTE meats, but compliance with Appendix A does not guarantee food safety. In fact, at times we get so focused on regulatory compliance, that we lose sight of what is actually necessary for food safety. 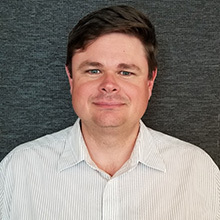 During this presentation Robert Hanson, Founder of HansonTech, will show how a combination of microbiology and process engineering can be used to reliably assure pathogen lethality on product surfaces using hydrated surface lethality processes that are easily validated and verified. Humidity in Impingement Cooking – Salmonella Lethality and the Revised Appendix A: Pending revisions of FSIS, Appendix A will include requirements for humidity control during meat and poultry cooking. 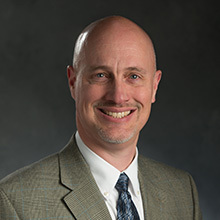 Dr. Bradley Marks, Professor Biosystems and Agricultural Engineering, and Food Science, at Michigan State University, will summarize results from a recent research project demonstrating the impact of process humidity on Salmonella inactivation in impingement-cooked beef and poultry products. The AMSA 72nd RMC will be held June 23-26, 2019 at the Embassy Suites in Loveland, CO. For more information regarding the AMSA 72nd RMC please visit: http://www.meatscience.org/rmc or contact Deidrea Mabry 1-800-517-AMSA ext. 12.